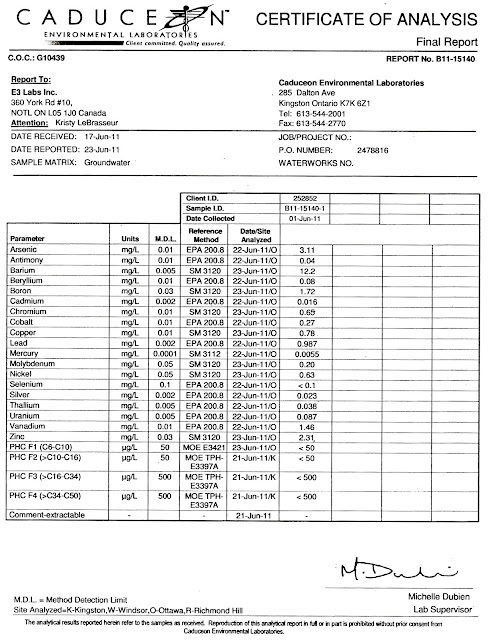 What tests were done on the soil? 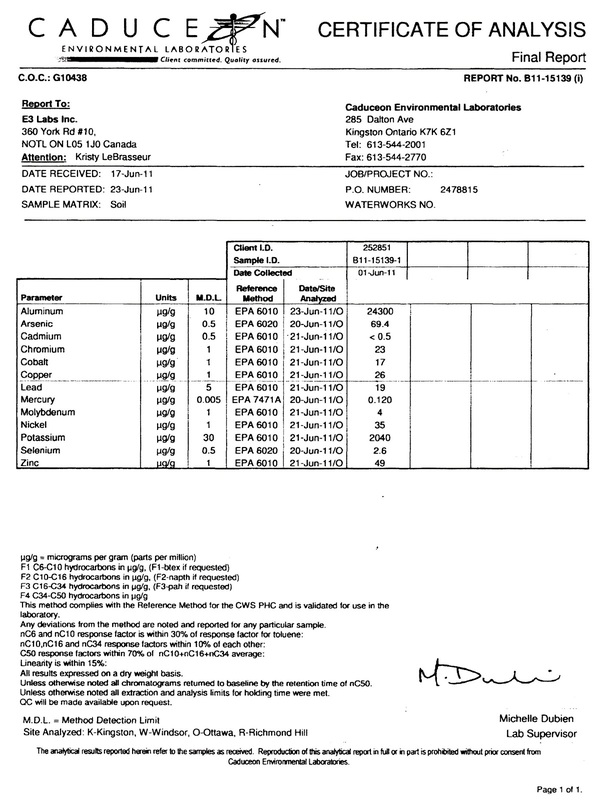 What were the results of the tests? Where was the contaminated soil removed to, which landfill site? During the excavation large amounts of water filled the excavation pit, what was done with this water? 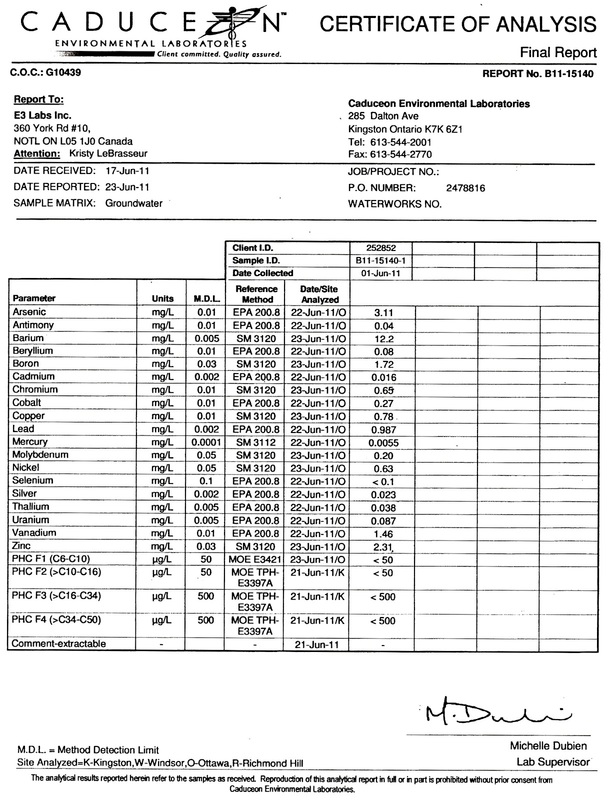 Were test samples taken of this water? Where are the test results? After several emails to the Region staff and seven tries via emails to just the councilors, I received response from only the officials listed below and only from Councilor Volpatti, Councilor Petrowski and Councilor Caslin. Matthew Trennum, Information and Privacy Analyst, advised: ‘The records you are seeking can be requested through the Freedom of Information process. The formal request form is available to you on our Niagara Region website: www.niagararegion.ca/government/mfippa. The webpage will describe the process and how it works. Please fill out the request form and send it, along with your $5.00 application fee’. *Mr. Brothers, Commissioner of Public Works noted that ‘this matter is not under the purview of Regional Council; that storm water management is a local municipality responsibility and that the MOE has the monitoring and legislative responsibility. Mayor McMullan responded, ‘Councillors have received your email and are aware of your concerns, as is Regional staff. It is my understanding that Regional staff will be responding’. 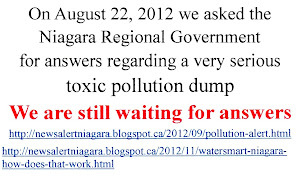 Question: After raising the alarm by bringing a serious matter of pollution to the Niagara Regional Government, the self acclaimed Green Capital of Canada, am I now expected to become an unpaid regional employee to spend money and effort to apply for Freedom of Information for information that the regional staff should already have at their disposal? Am I now expected to run around to various other government ministries like Paul Revere screaming ‘The British are coming - The British are coming’ or Chicken Little crying, ‘The sky is falling’? The email alarm was sent to the Region of Niagara asking that the proper authorities be given eight questions regarding serous amounts of pollutants. What we received, loud and clear was that the problem was not in their purview. Surely the pollution levels, shown in the test analysts, are of concern to everyone. It would appear that raising the alarm is no longer enough for those we have elected and hired! Now they just want you to go away and annoy somebody else because your alarm is apparently of no concern to them!